With the backing of business leaders through the Greater Rochester Chamber of Commerce’s health care planning team, a group of committed volunteers provided the strategy and momentum needed to make tobacco-free campuses the norm in Monroe County. Their success provides an innovative model for business-led health improvement. “This effort shows how business leaders can help bring about significant change—even without money—when the community rallies together for a common cause,” said Cynthia Reddeck-LiDestri, vice president of health and wellness at LiDestri Food and Beverage and chair of the Million Hearts committee that spearheaded the no-smoking campaign. Read more. 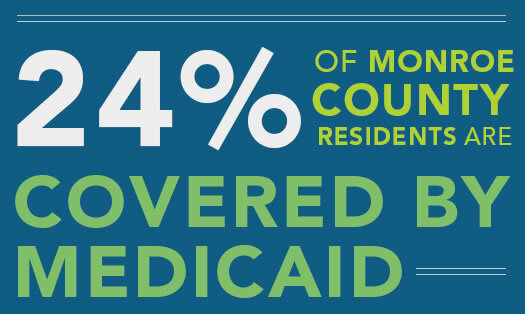 As Congress considers national health care legislation, we’ve pulled together seven local numbers to know about Medicaid, the government insurance program that covers people who cannot afford health care, have disabilities or require nursing home care. Read more. United by a love of sport and play, community partners showcased ways to get kids active. 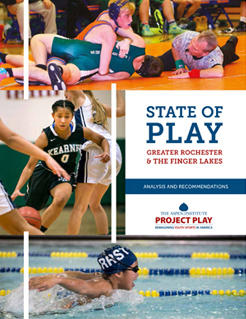 The Ralph C. Wilson, Jr. Foundation funded the new “State of Play” report— researched and written by the Aspen Institute with assistance from Rochester Area Community Foundation. It found that only 12 percent of kids locally get enough daily activity. “The authors did a great job highlighting opportunities to promote access to organized sports and unstructured play,” said Dina Faticone, Common Ground Health’s director of community health and engagement. Faticone serves on the Youth Sports Task Force, which lent expertise to the effort. Read the report here. Learn how your health can affect your hair, and hear how barbers and stylists are promoting health in Rochester during the second annual Hair and Health Symposium Sept. 18 at the Rochester Educational Opportunity Center. Details and registration here.